The Traditional (or Blue Box) Reeds have an age old design with a superiority that has been proven over many years. These reeds are suited for all styles and genres of music, making it a great all-round reed for bass clarinetists. 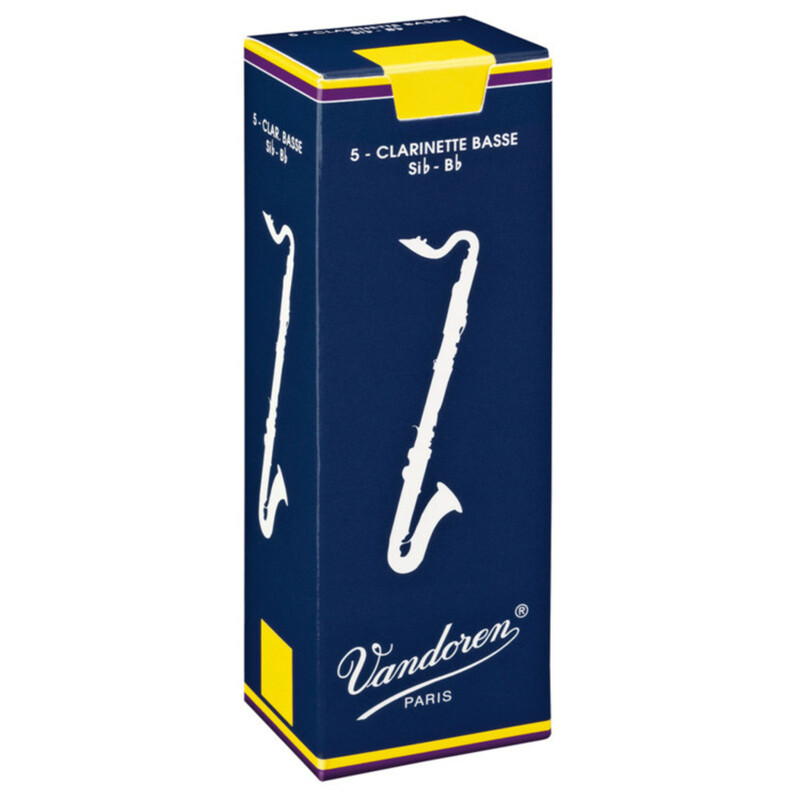 The all-purpose Vandoren Traditional Reeds provide great tone and response in all registers of the instrument which allows for a varied amount of dynamic range and a number of styles. It also allows for a great deal of flexibility when playing legato and staccato notes with large pitch intervals. The Traditional Range of Clarinet Reeds lists from 1 through to 5 in increments of ½ with 1 being the weakest and 5 being the strongest. The variation in reed strength depends on the standard of the player. Strength 1 reeds are made weaker, allowing the performer to get a note easier without squeaking, but consequently loosing sound quality and intonation. A strength 5 reed is difficult to achieve a note, but the tone and ability to stay in tune is much greater. All the reeds between these extremes work on a sliding scale based on these principals.